Sooo my pink hair is finally making its blog debut! I did a post and a video on it over on ETCLLYMLRS which you can go and check out if you are interested in knowing about it. My hair's already faded loads which makes me sad but I am happy with it. And for some strange reason I feel more like myself with pink hair than I ever did when I was blonde. Maybe I was destined to be pink or something like that. Anyway, the outfit. I adore this jumper and wear it all the time but I don't think I've actually worn it on the blog at all. It's actually from the petite range (I have no idea why) but the main thing that drew me to it was the fact its neon blue and orange. I don't do too much colour but there was something about this that I knew I had to have in my life. Today I talked about the new Models Own Fireworks Collection over on my beauty blog and I cant stop thinking about all thing glittery and sparkly. My nails are currently in the worst condition ever after finally deciding to get my acrylics removed. I'm determind to get them back into good condition… I give it two weeks and I'll have acrylics again. I love having pink in my hair too! Loving your outfit, very cute. Oooh wow, rare bust of colour from you ;) Love this outfit. Your hair looks fab too! Love this outfit and the hat really suits you! Also loving the pink hair! Love the pop of colour the jumper adds, super cute! You really do suit pink hair! I love your wrist piercings! Lovely outfit I want that jumper! Your hair looks amazing and love the jumper! really cool and the pink hair is so lovely! Gorgeous! So in love with your pink locks! I adore that sweater and you do rock that hair! i love your bloog, your looks and the videos on youtube! can i make a post on my blog tagging you has one of my fav bloggers? Love your hair in this Lily! If I wasn't a teacher I'd be straight onto the pink hair! love your ombre pink hair!!! Love this outfit - so bold! Love that jumper, looks fab with your new pink hair! You really suit pink hair:) you should dye it all pink!! 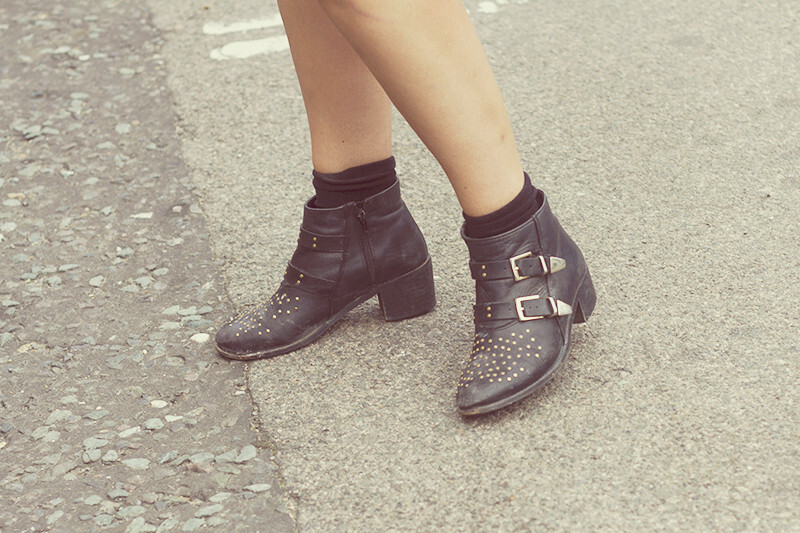 Those boots are hot! I've wanted some for ages (especially the Topshop ones) but i'm picky and haven't found any cheaper ones i've liked so haven't been able to get any yet, boo! Always love your style Lily! jumper is amazing, i love it! im pretty new to blogging, so if you could check out my blog that would be great! I'm really loving your pink hair! It really suits you! 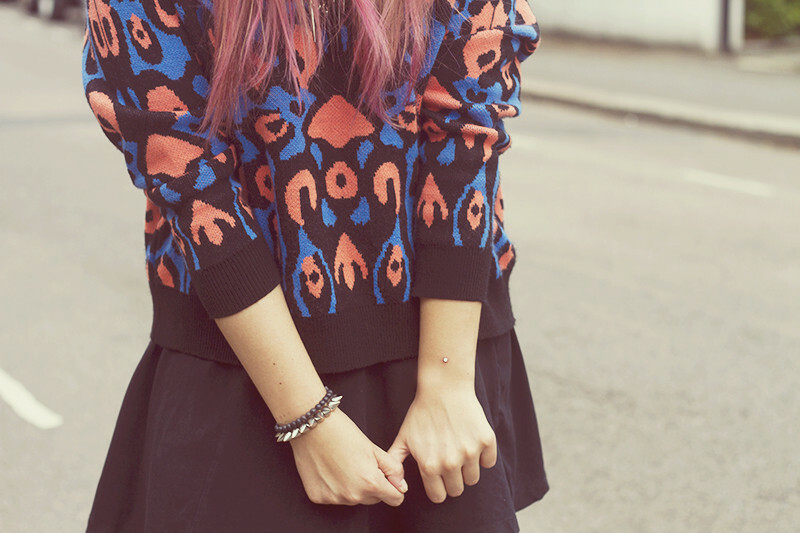 Love the brights in your hair and jumper - such a nice chilled out look!